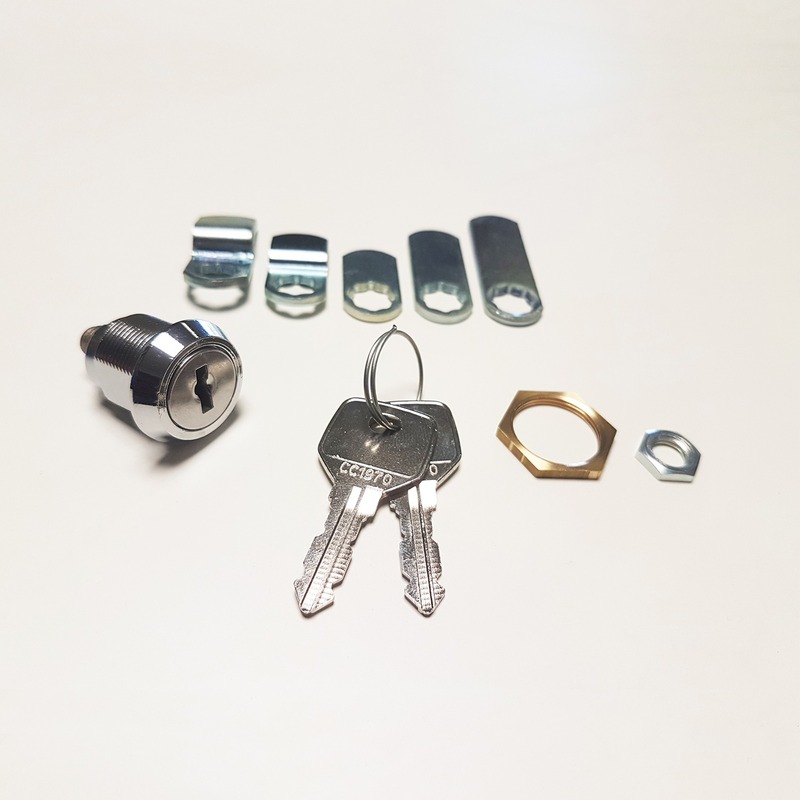 A replacement security lock bundle complete with all fixings and CAM lengths ideal for mailboxes manufactured by The Safety Letterbox Company that do not contain existing locks. This lock bundle can be used with any mailbox manufactured by The Safety Letterbox Company. If you do not have a mailbox manufactured by The Safety Letterbox Company, this lock cannot be used with the item. This product is used This product contains a replacement mailbox lock and 5 different sized CAM lengths – one CAM will be suitable for your mailbox if it is manufactured by ourselves – The Safety Letterbox Company. Fit the CAM arm onto the lock.